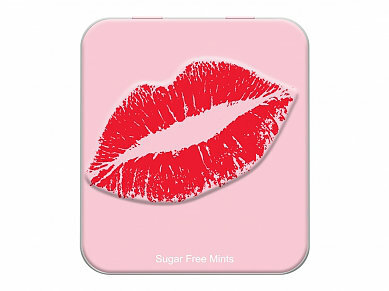 Mints in a handy tin box with an image of red lips. Tasty breath fresheners. Excellent befor kissing. No sugar. Perfect for every woman's purse.